The Tanoshiboy Chronicles: Design & Illustration Blog: What's The Best Gift of All? What's The Best Gift of All? It's been such a hectic week leading up to Christmas that I didn't prepare anything to write about so I thought I'd write about that. Yes, I'm taking the next couple weeks off from blogging about design, marketing and networking and I'm simply sharing some illustration. Like the one you see to you're right. It's Cyclopee all decked out for the holidays. I wanted to work more minimalistic and use a non-traditional color palette. The challenge was to make it feel like Christmas, which I think I did. I want to wish you all the happiest of holidays and thank you for all the support this crazy year of 2010. Every retweet, every facebook share and comment on this blog has not gone unnoticed. It's been awesome to meet and connect with so many of you. I'll write about that more next week, but for now, just know you've made a difference in this guy's life and that's the greatest gift of all. You make it easy with the great posts and artwork. Keep it up. Merry Christmas! Guys, thank you. Merry Christmas! Il vaut mieux être bon pied bon oeil pour être père noël ! Merci pour votre gentil message laissé sur mon blog. Très bonnes fêtes à vous aussi bien. Merci de la visite. It's Xmas Cyclopee!! He's so cute. You know I love your posts! Tu parles Francais?! Cool! Oh. before you start speaking Frech to me, I only have my high school vocabulary -_-. Merry Christmas to you and your sweet heart. Looking forward to more illustrations this Holiday season. Such a great illustration. You're so talented!. I'm glad I met you this year and I hope we do have a chance to meet in 2011. It's great to mix it up on your blog. It's a thought and freedom to express yourself. And I love reading everything you blog about. 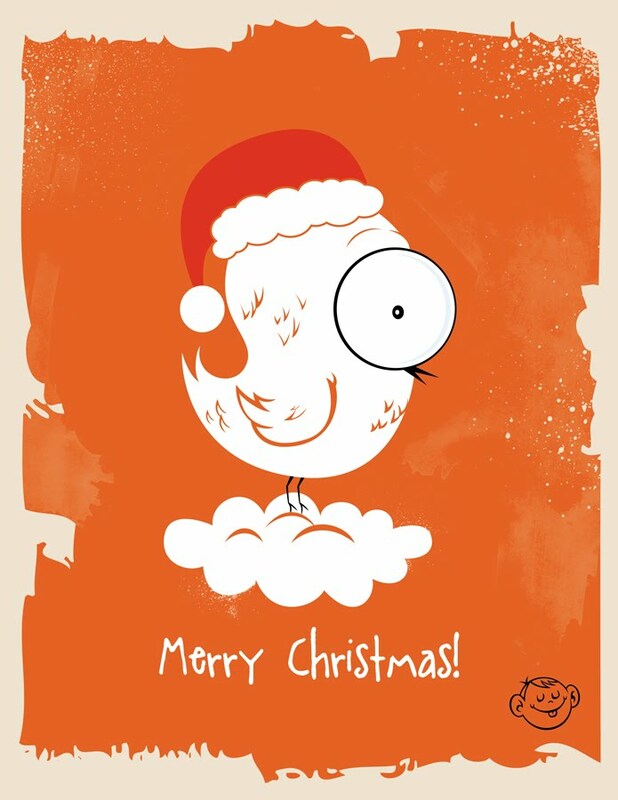 Ditto Dennis :) Have a wonderful holiday season and a very happy new year! I think you hit the Mark Dennis. Hope your Christmas as great! Haha. Cool Illustration. - You've got some solid, interesting writing here. I've really enjoyed going through your blog. awww, i love cyclopee! =) so great, you're such a talent! I have been so incredibly busy on the week that I was supposed to be taking it easy. Such is life. I'm sorry that I didn't have time to respond to your comments like I normally do, but I have read them all and they have all made me smile and made me feel encouraged. You're the best! Thank you. Your blogs are inspiring and joyful. Since they come from you, you are these things. May bountiful blessings be yours in 2011. The animation is very important for your product marketing and advertisement you can easily convey your message to the people by making the animated video, but the work if animation it’s not easy to everyone because it takes a professional level designer and art which you only get from this ilustra.co.uk/animatics/ website.